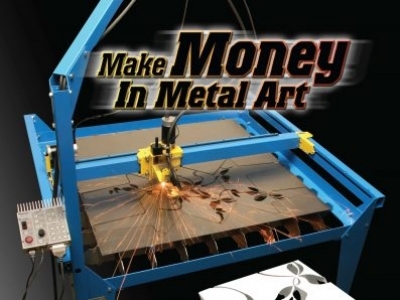 Make money in Metal Art. PlasmaCAM - Call 719-676-2700 (use code T5UWY) or visit www.plasmacam.com The PlasmaCAM machine makes it easy for you to cut intricate metal projects. Free demo video. Grow expensive plants & make imitation stone dish garden containers for 2,000% Profit. Minimal space (no acreage) required. Craft business, earn excellent profits building small craft furniture. Start out in your spare time- working in the comfort of your own home and build the business at your own pace. Home employment directory assembly opportunities. A wide variety of available opportunities appealing to both men & women. Home-based distribution and marketing. Worm casings & nightcrawlers. Indoor manufacturing process. Tiny Details creates and sells dollhouse miniatures created by home assemblers. Visit our on-site factory store. Be part of the fastest growing, building products segment in America...Custom colored, hand-made, concrete stone, tile, bricks, cobblestone, and paver manufacturing. You can start at any level of investment and grow from there. Bunk Beds Building / Earn up to $300/day building bunk beds at home. It's a business that's easy to start & fun to do & has very low start-up costs.